Door to door taxi transfers from Prague to: Berlin, Bratislava, Budapest, Cracow, Cesky Krumlov, Dresden, Erlangen, Frankfurt, Karlovy Vary, Krakow, Munich, Nuremberg, Passau, Plzen, Regensburg, Salzburg, Vienna, Vilshofen and many more. Mercedes Benz cars and minivans; English speaking drivers to hire; air conditioned, non smoking chauffeured driven cars and minibuses. Easy to book and even better to use. Thank you. 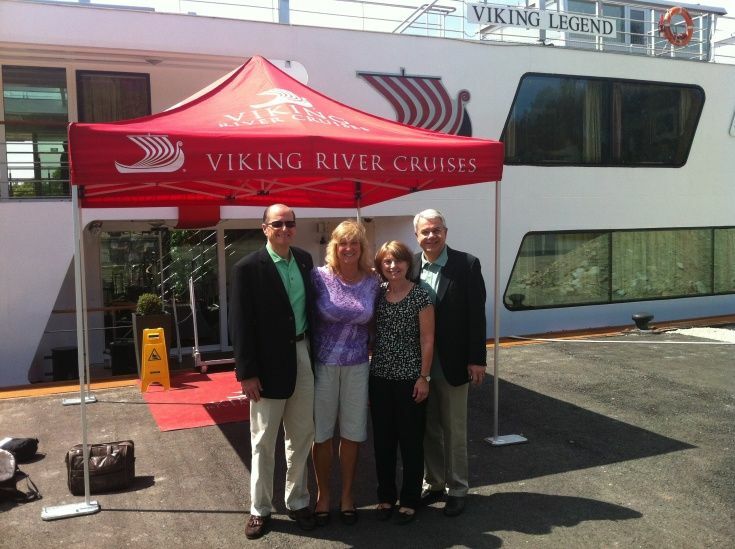 Thank you for the efficient transfer service from Prague Augustine hotel to the Viking River Cruises in Nuremberg. 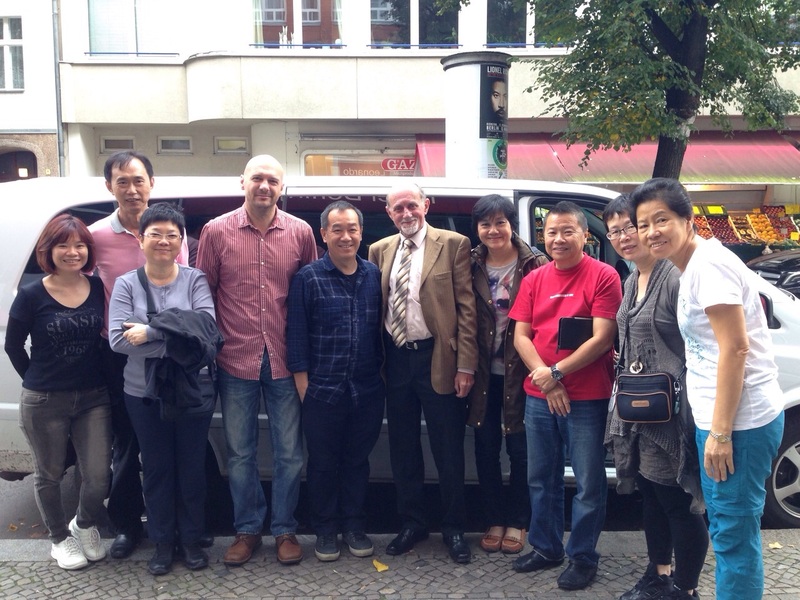 Mr. Martin, we had great time in the Czech Republic, Germany and Austria. We will surely come back to Europe. Our next plan is Scotland and United Kingdom. We will see you in 2016! Mr. Martin, thank you for excellent service. The BMW and Mercedes cars were comfortable, super clean and drivers were the best. See you again! Mr. Martin, it was a pleasure to meet you. Your drivers are great. The communication with you was beyond our expectations. Take care! We will see you next time. Our "Heartfelt Thanks" to Martin, European Transfer and the Drivers (Pert Taraba & Mirek Skoda, standing from left 4 & 6 respectively) for giving us a Wonderful Private Eastern Europe Holiday for 14 Pax. Transfer between cities, hotels and airport were perfectly executed by the Drivers throughout our Eastern Europe vacation: Budapest, Szentendre, Estergom, Ljubljana, Lake Bled, Zell Am See, Hallstatt, Salzburg, Mondsee, Vienna, Praque, Cesky Krumlov, Dresden & Berlin. We were able to communicate well with the English speaking driver. The Drivers discussed and planned our daily program, provided us maps, gave us good advised and accommodated all our requests, even some places were not in our original plan. 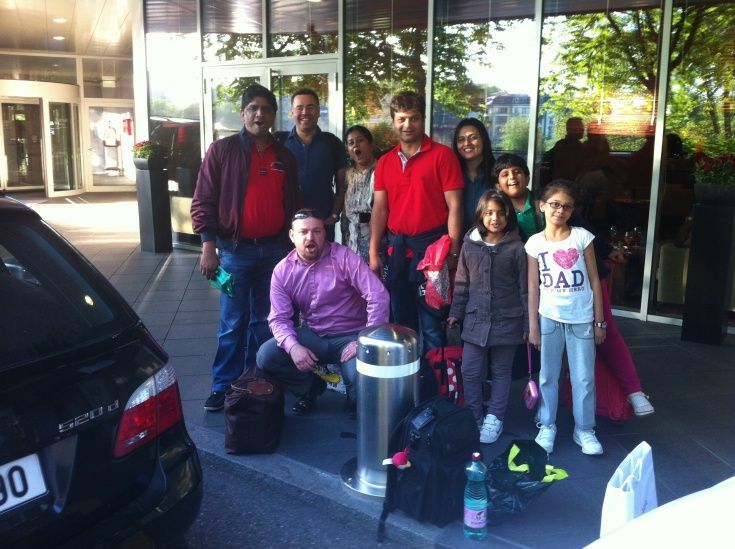 e also shared with the Drivers the "Sound of Music sight seeing experience in Salzburg", this will enable them to provide better services to future customers. We were delighted when Pert Taraba acted as our tour guide in Prague, as it's his hometown and brought us to capture the "Best of Prague". 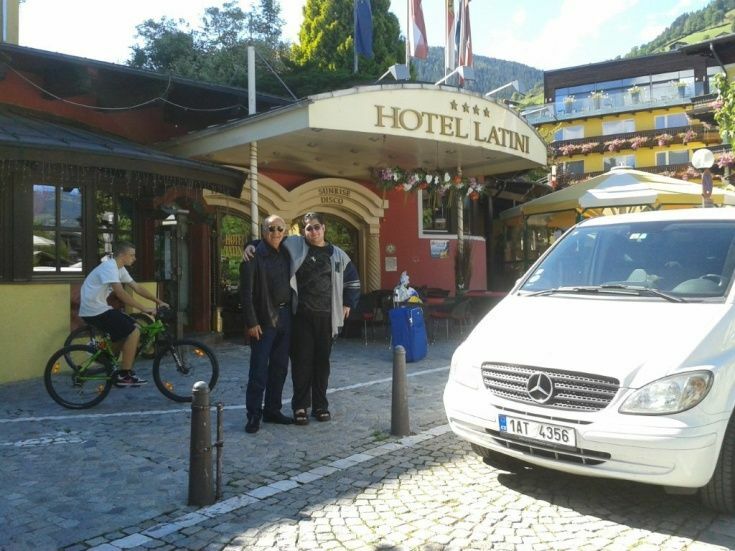 Both the Drivers were very professional, prompt, courteous and keep the Mercedes Vans very clean. The seats were very comfortable and they provide toilet stops in between transfer, thus with their excellent services, we really enjoyed our Holiday. Highly recommend "Martin's European Transfers" as they can provide professional/personalize service/recommendation to give you a "Very Memorable Holiday". 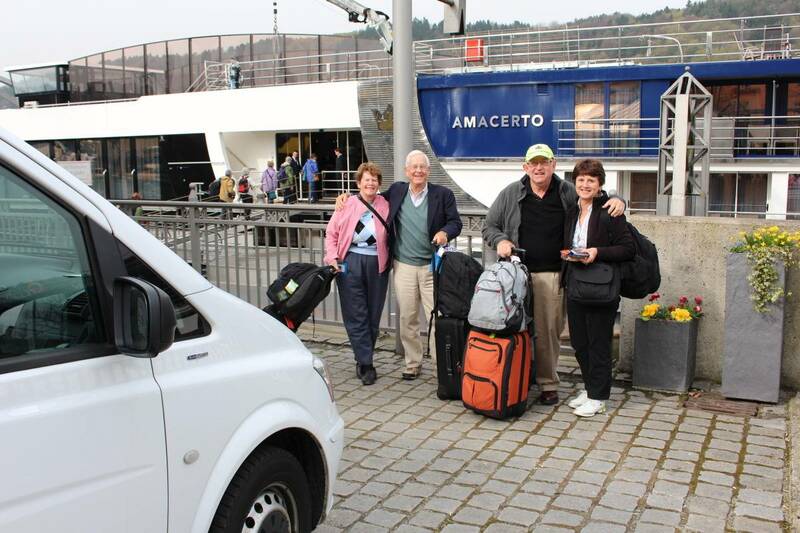 Thank you for great transfer from Prague to our river cruise in Vilshofen. 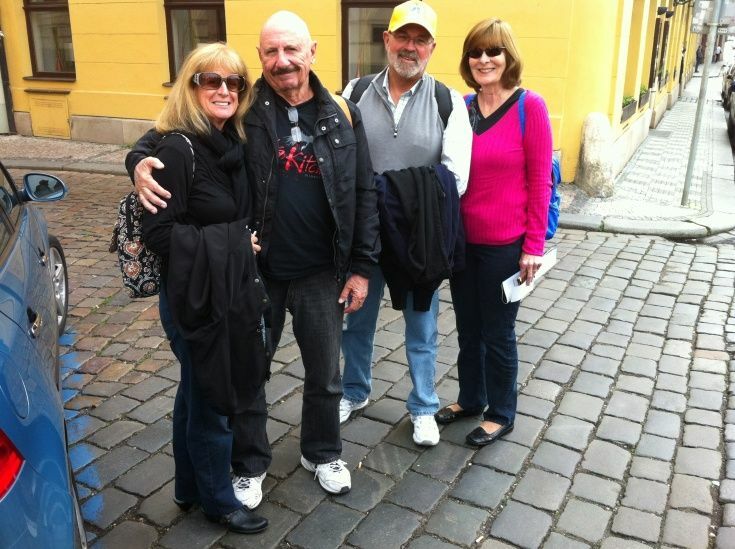 We had great time both in Prague as well as Cesky Krumlov.